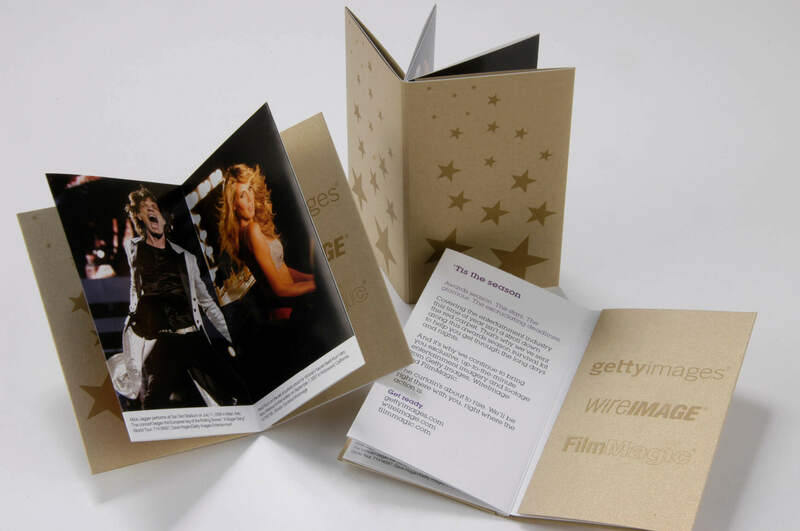 We had the pleasure of supporting the Getty Images marketing department for years, and created many different types of direct mail pieces for various products and promotions. Here are some samples. For years, Getty Images only licensed photos, then they added videos and music. The marketing team wanted a creative piece to introduce the music offering and to explain the various services offered. 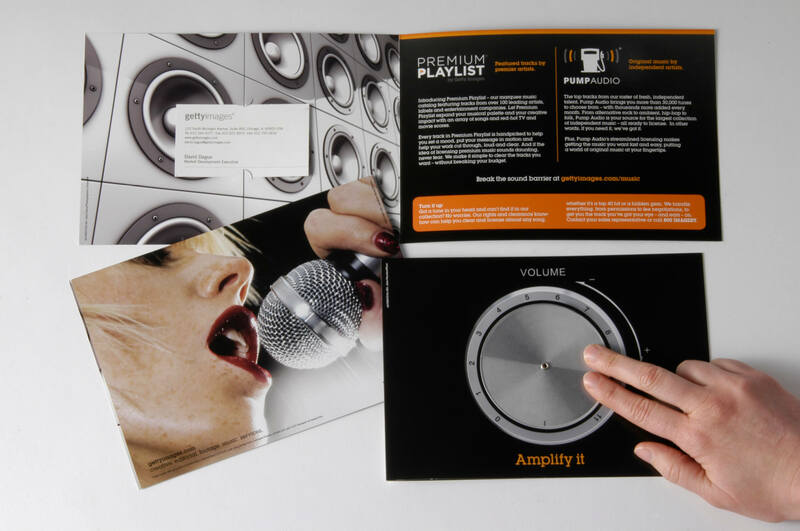 We designed a piece that had a die-cut volume knob that could be spun on the cover of the brochure — you’ll see that it goes to 11, a fun reference to the movie Spinal Tap. 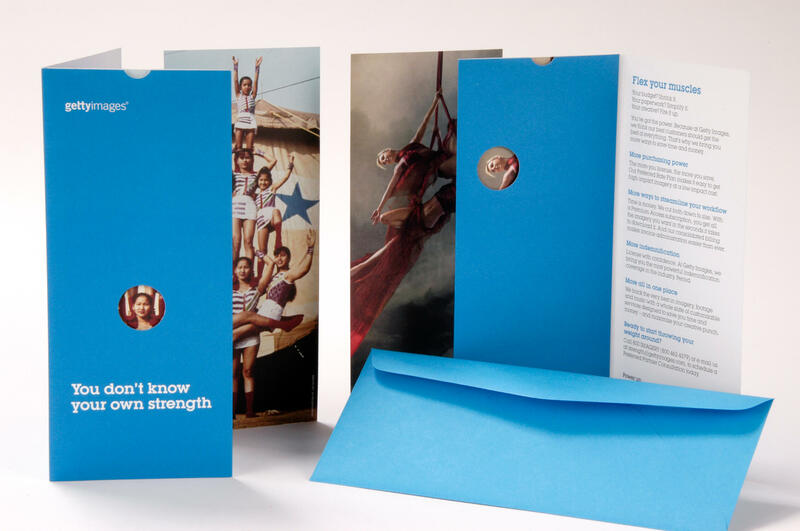 This direct mail piece was part of an integrated tactical campaign targeting the corporate segment with unique messaging used to promote the customer benefits of having all imagery needs serviced by Getty Images. Oftentimes, budgets and other factors overrule creative decisions and Getty Images would lose revenue from its own clients to competitors. This campaign, and all its components, helped initiate or continue conversations between the sales teams and corporate customers. Customers could “flex (their) muscles”, getting more from Getty Images for less, with customizable subscription service packages. 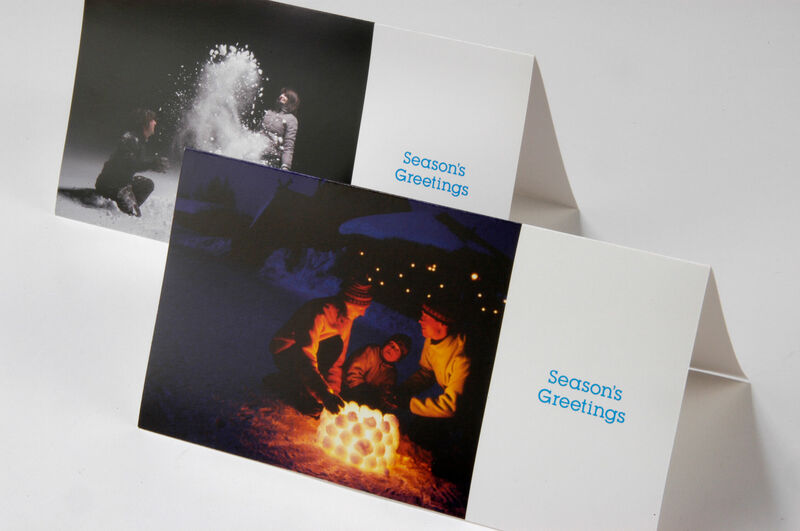 For several years, we created calendars and holiday cards for Getty Images to send to customers, featuring amazing photos, of course! This unique kit was comprised of a folder with intriguing editorial images and was targeted to picture researchers at publishing companies around the world. We designed it so there was no text on the folder (which cost the most to print). 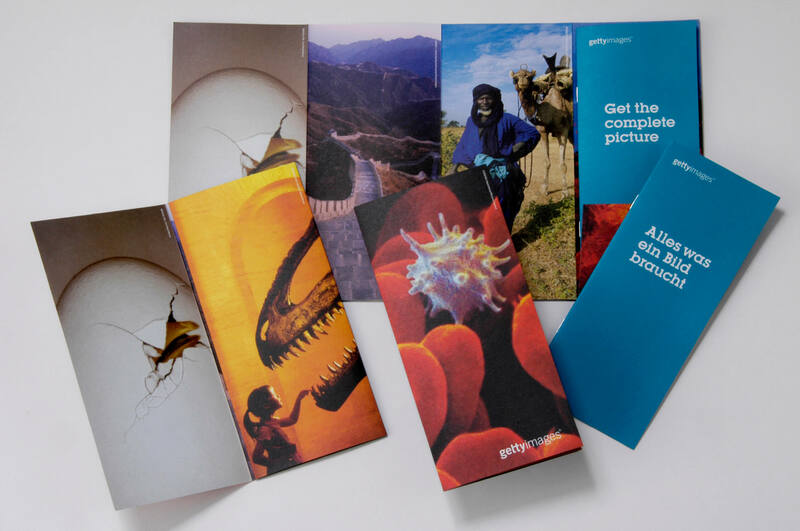 A thin brochure was inserted into the pocket of the folder and was translated into many languages, saving Getty Images production costs but still providing a beautiful piece to all of the publishers. Want to really connect with direct?